Don't let this picture fool you, it looks like a hamburger, but it's not. It's a SHRIMP BURGER! It is so flavorful. I got this recipe from a Emeril's show, but it's really Marcelle Bienvieu's recipe. She left out the breadcrumbs and they ARE necessary. I used Panko. 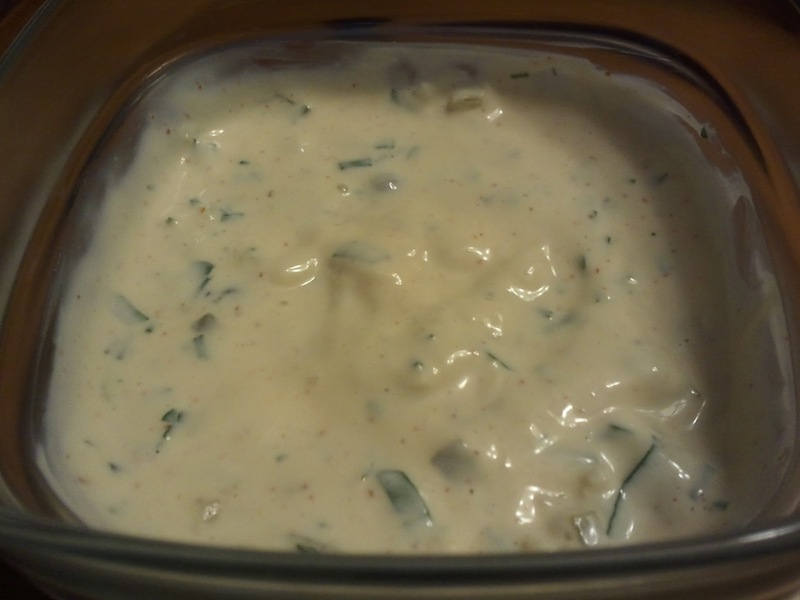 ½ T. Tony Chachere’s Creole seasoning, plus 1 t.
Make the Homemade Tartar Sauce first, the night before is best. Don’t skip this! 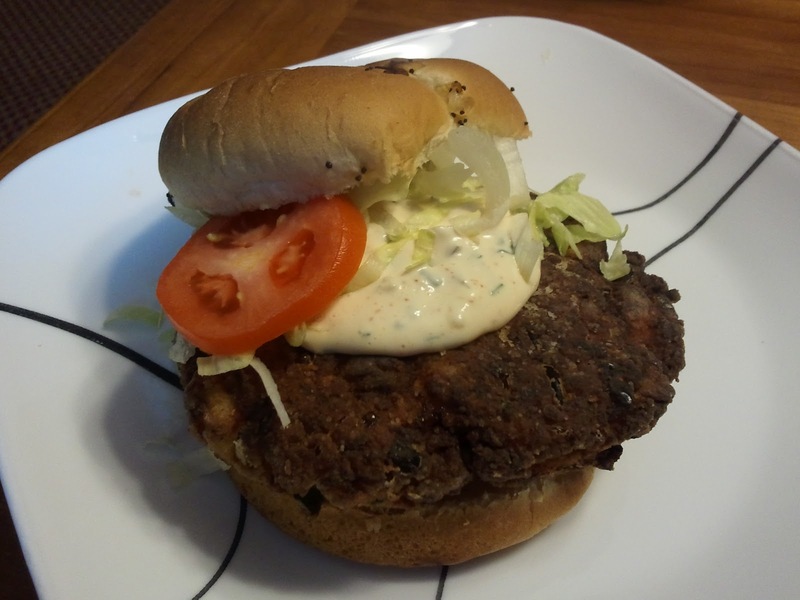 The Shrimp Burgers are so good with this Tartar Sauce. Sometimes, I use a 1 lb. container of Creole seasoning from the produce section to speed up this recipe. Creole seasoning generally has onions, green peppers, celery, garlic, green onions, and parsley. The 1 lb. container is about 2 C.
This is quick and easy dinner. Fresh gulf shrimp are the star of the show. The lemon juice gives this a bright fresh flavor. It's perfect with a glass of Sauvignon Blanc. Adding the butter to the lemon juice without the heat helps the butter to emulsify. This recipe makes 4 servings. It is really easy to double. 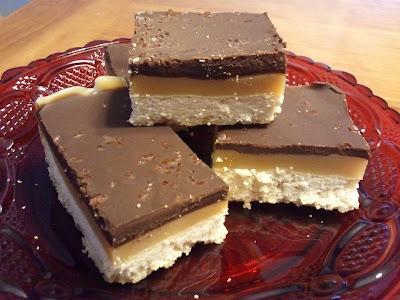 These are homemade "Twix". I LOVE "Twix". It is one of my favorite candy bars. These are better. YES, they are that good. I got the recipe from Tracey's Culinary Adventures and she got it from someone named Annie. THANKS, Annie. This one is a keeper. These are SOOOO good. Don’t try to eat one when you first remove it from the refrigerator. It is too hard and doesn’t taste as AWESOME as it can, if you wait for it to come to room temperature. I don’t have a double boiler. I use a pot and put a stainless steel bowl over the pot. This works fine. This is a great appetizer for a cocktail or dinner party. They are bite size with a hint of spice. I got the recipe from "Tracey's Culinary Adventures", but you know I tweaked it a bit. Each muffin well will be full with this mixture! Some may even overflow a bit, that’s OK.
You can make the crab mixture the day before and refrigerate until ready to make. 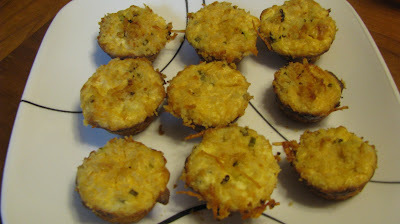 I serve these with my homemade tartar sauce. Follow my link to find out how I make it. This is a throwback recipe. In the 70's, recipes to make Molds or Aspic were all the rage. I know that it is no longer a must have at every party now, but it is still good. I love the presentation. I was given a special Tupperware as a shower gift to make Molds or Aspic. The recipe is straight out of my cookbook that my sister-in-law Darlene made for me. In a small simmering pot, heat the soup to a boil, then add the cream cheese to the hot soup and stir until the cream cheese melts into the soup. In a small bowl, add the gelatin to the water and whisk until it starts to thicken, about 2 minutes. Pour the soup mixture into a large bowl and add the gelatin to the mixture and stir until incorporated. 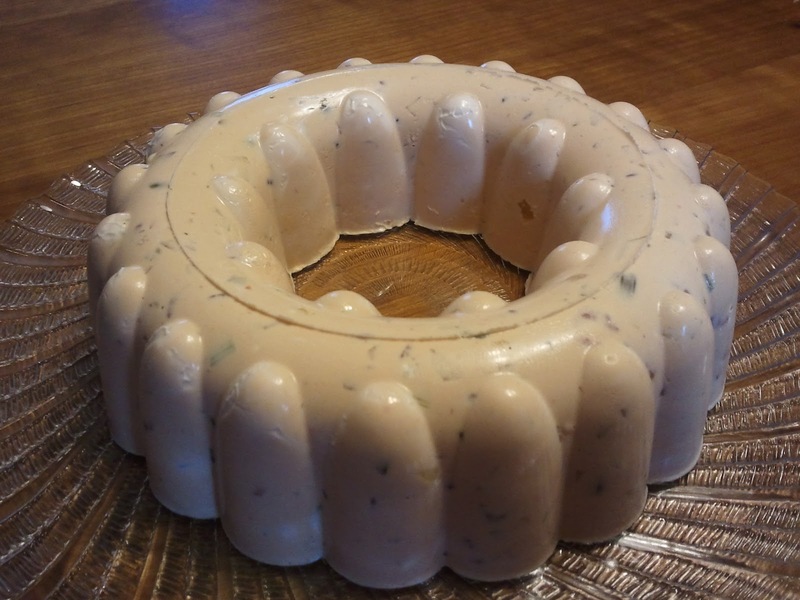 Grease a Bundt pan (or Tupperware makes a Jel-Ring, which is what I use) with mayonnaise, so the finished product will slide out easily. Pour the mixture into the pan and refrigerate overnight. When ready to serve, place a platter under the pan and carefully flip the pan to release the Shrimp Mold. 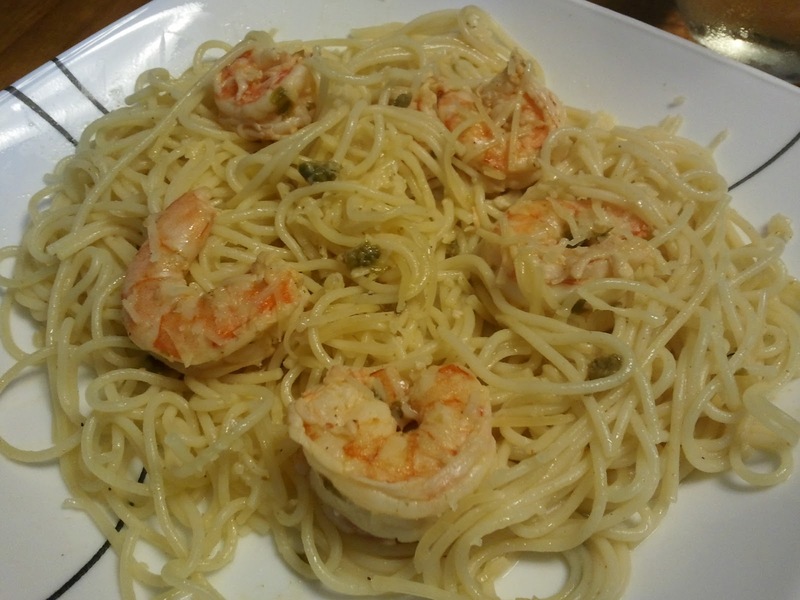 This is great to make when you have some leftover boiled shrimp. Yellow bell peppers is NOT necessary, but the different colors look nice. I LOVE meatballs. I even like the store bought meatballs in the bag. These are NOT those kind of meatballs. This recipe takes some work, but it is SO worth it. 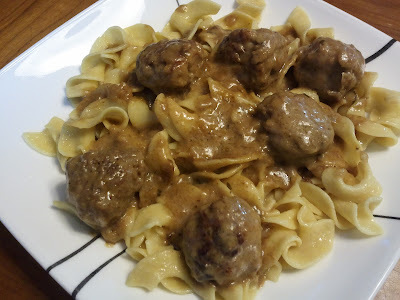 The meatballs are almost fall-apart tender and the gravy is rich and creamy. I used a Emeril recipe and took a Martha Stewart tip to improve it. It's a winner! Meatloaf mix is ground beef, pork, and veal. It is more expensive then buying the ground chuck and pork, but it makes great meatballs. It’s your choice. I make these meatballs with a 1 ½ inch scoop. The meatballs are smaller than a traditional Italian meatball. This recipe will make about 50 meatballs. Don’t skip the step of browning the meatball in the Dutch oven. I KNOW you might think, it’s easier to just brown them in the oven. It IS easier, but the flavor for your gravy is coming from all the bits of browned meat on the bottom of that Dutch oven. If you can’t fit the meatballs in 2 batches, make 3, just add ½ T. of butter each time.